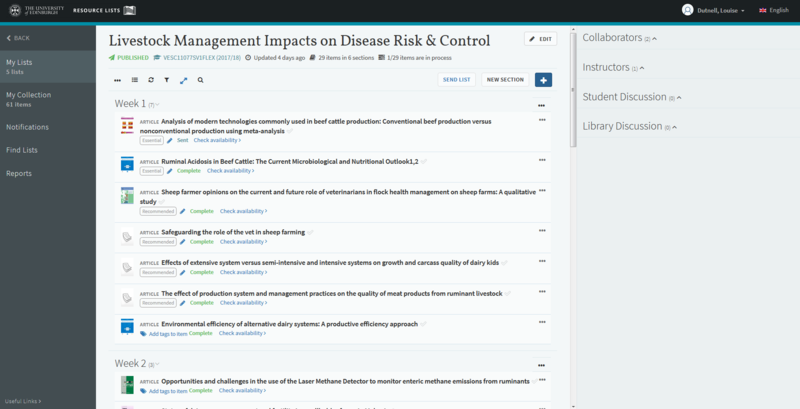 In response to feedback, this month there’s a new option for course organisers and students to choose a compact view of the list, so that more citations fit on a screen. To condense the citations, click on the compact view button at the top of the list. Then click on this button again to see the citations in the fuller format. Another way to change the appearance of the list is to use the toggle section view option. Click the button at the top of the list to see, at a glance, the different sections and how many items are in each section (in brackets). 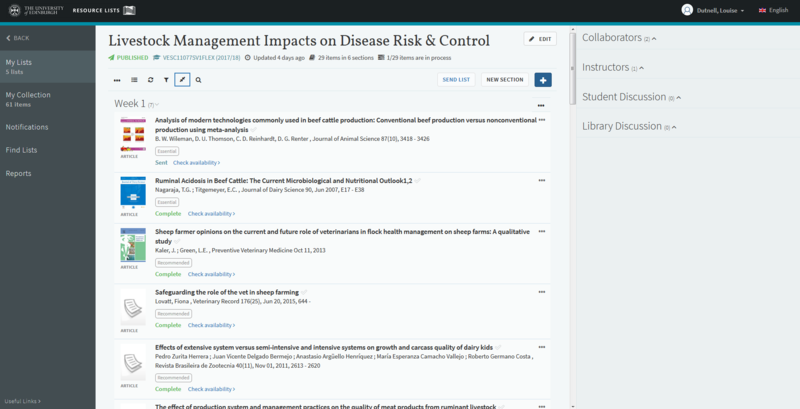 To open a section to see all the citations and access resources, click on the little arrow to the right of the section title. This makes long lists with lots of sections more manageable! This entry was posted in Uncategorized on June 4, 2018 by Louise Dutnell.